FBI agents investigating the death of Vince Foster learned he was set off after Hillary attacked and humiliated him in front of other White House aides a week before he took his own life on July 20, 1993. At a reception for authors participating in the 2019 Annapolis Book Festival last weekend, I asked Starr why he omitted the damaging FBI finding. At first, he beat around the bush, citing well-established facts indicating that Foster was already depressed before Hillary lashed into him at the White House meeting. But when pressed, Starr admitted he 'did not want to inflict further pain' on Hillary by revealing that her humiliation of Foster a week before he took his own life pushed him over the edge. In interviews for my book The First Family Detail, the FBI agents who worked the case for Starr revealed the truth about Foster's death when he shot himself at Fort Marcy Park along the Potomac River. The investigation into Foster's death was conducted for independent counsel Starr's probe of the Clintons' investments in the Whitewater real estate development. In interviewing Clinton White House aides and Foster's friends and family, the FBI agents found that a week before Foster's death, Hillary as First Lady held a meeting at the White House with Foster and other top aides to discuss her proposed health care legislation. She told him he didn't get the picture, and he would always be a little hick town lawyer who was obviously not ready for the big time. 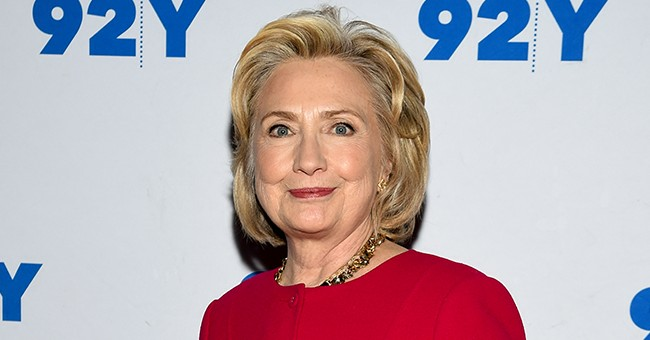 Hillary violently disagreed with a legal objection Foster raised at the meeting and ridiculed him in front of his peers, former FBI agent Coy Copeland and former FBI supervisory agent Jim Clemente told me. Why did the stings of Washington life, endured by so many, prove fatal for Vincent W. Foster Jr.? From the pinnacle of the Arkansas legal establishment, Foster leaped into the service of his boyhood friend, Bill Clinton, after Clinton was elected president. According to Fiske, the toll on Foster was intense from the beginning. During the transition period – when he vetted a number of top appointees – Foster complained to his Little Rock physician of depression and anxiety. His symptoms grew worse when he got to Washington. In January 1993, Zoe E. Baird was forced to withdraw her nomination as attorney general because she had failed to pay taxes for a nanny; fresh from his inauguration, President Clinton was hit with charges of elitism and corner-cutting and incompetent screening. Foster blamed himself – the Fiske report shows him constantly shouldering blame for mistakes made in the chaotic White House – and the night of the Baird debacle Foster was literally sick from a panic attack. The embarrassment was even greater when seven employees of the White House travel office were summarily fired amid hints of financial shenanigans, because it turned out the investigation had been slapdash, the firings hasty, and the odor of cronyism hung over the whole affair. The "Travelgate" fallout singed Foster and burned his friend and protege, William Kennedy, also of the counsel's office. Kennedy drew an official reprimand. Foster's colleagues at the White House advised him to shake off the episode, but for him Travelgate apparently became an obsession. He felt guilty because he had assigned Kennedy to the travel office investigation. He begged his boss, then-White House counsel Bernard W. Nussbaum, to let him take the heat and the reprimand in Kennedy's place. So, there you have it; Ken Starr reportedly didn’t want to hurt Hillary’s feelings over the matter. As for the conspiracy theories surrounding Foster’s death, well, you already know them. No need to flesh them out further here.